What are the signs of a reputable Texas mortgage note buyer? Selling a deed of trust and choosing the right Texas note buyer is a heavy decision. Working with a reputable Texas mortgage note buyer is critical when it’s time to sell your note in Texas. With so many companies claiming to buy mortgage notes all trying to get your business, it’s can be hard to choose the right one. Make sure you thoroughly research the companies you’re considering. 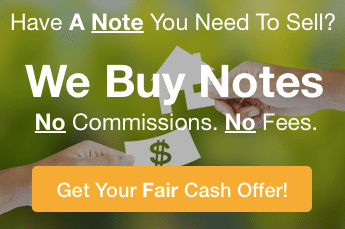 To help you out here are 4 signs of a reputable Texas note buyer. New companies may be great, but when it comes to protecting your interests, go with the Texas note buyer who has been around for a while and has a proven track record. Make sure that your Texas mortgage note buyer has lots of experience in buying mortgage notes. Its always good to work with a note buyer that has local market knowledge and experience. A rule of thumb is to choose a company that has been in the business for at least five years. It used to be called reputation and testimonials, but now a favored term is “social proof.” Check references. Do they emphasize customer service over selling their product and services? Look for a Texas mortgage note buyer that has a reputation for fair and honest service. The company should be willing to make you a purchase offer with absolutely no commitment on your part. If they are a reputable company, you will be able to receive an offer without having to sign an agreements or contract . A no-strings offer is one of the signs that the company is a reputable Texas mortgage note buyer.. Call it first impressions or a gut feeling, but whatever you call it, listen to it. You should have a good feeling about the note buyer you’re considering. They should offer free consultations and be able to answer any and all questions you have. Your Texas mortgage note buyer should be approachable, personable, and straightforward. A sure sign that you’ve found the right Texas mortgage note buyer is your feeling that the Texas mortgage note buyer is more interested in helping you… solving your problem… than in making money off you. 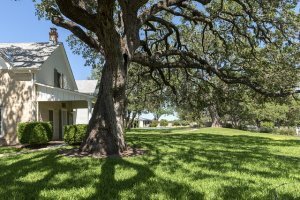 A reputable Texas mortgage note buyer will let you know what to expect and keep you informed of progress in every step along the way. You should never feel pressured or rushed to make a decision. There shouldn’t be any hard sell. In summary, you should feel confident in the ability of your Texas Mortgage note buyer to do exactly what you need. It’s important for you to research several note buyers. Be sure to check out their websites and take advantage of the free consultations. If you really want to simplify the process, just call on our real estate and mortgage note experts.